Jacuzzis are a wonderful recreational amenity to have but like everything else may require a jacuzzi service repair to keep running through every season. No one wants to use a hot tub that is unkempt, dirty, or not fully functional especially in the summer time. Fortunately, for South Florida residents American Plumbing is the reputable and experienced choice for maintaining and repairing hot tubs of every kind. Nothing beats the experience of getting into a warm, bubbling jacuzzi on a clear night and with American Plumbing, we can keep it functioning and ready for any clear night. Continue reading to learn more about our jacuzzi service repair and how our expert technicians can keep your hot tub in the very best condition year round. If you are ready to book an appointment be sure to contact our friendly staff at American Plumbing today. At American Plumbing we have multiple specialized plumbing departments for a variety of circumstances and our jacuzzi services are a part of one of these departments. The conventional trenchless technologies department we have is filled with skilled jacuzzi service repair plumbers that can cover anything including: hot tubs, whirlpools, drains, pumps, and jacuzzis. Odor Detection: Experiencing a smelly hot tub or jacuzzi? 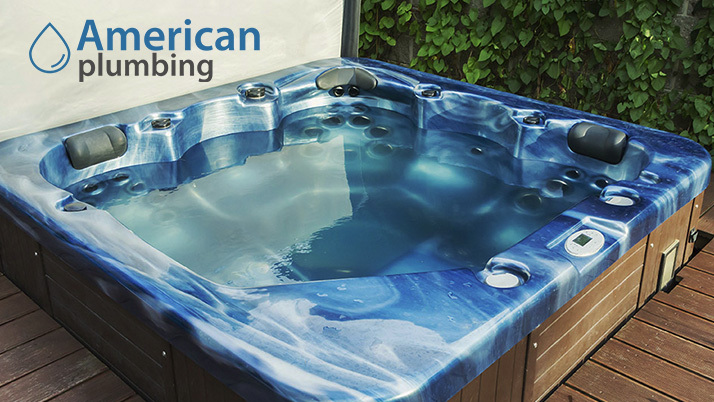 The experienced plumbers at American Plumbing can ensure your hot tub or jacuzzi is safe to use and smells natural every day. Floor Drains: When a drain becomes clogged it can cause further damage to the entire jacuzzi or hot tub. A jacuzzi specialist can keep the drains clear and unclog drains that need it. Whirlpool and Jacuzzi Services: Our conventional trenchless technologies department can install and service your whirlpool or jacuzzi properly, in a timely matter, and at an affordable cost. Septic Tank Location: Unfortunately, septic tanks can break down over time and can possibly cause a health hazard if it goes ignored. The plumbing specialists at American Plumbing are equipped to handle locating the septic tank and servicing it. Pumps Services: The pumps on your hot tub or jacuzzi must be running efficiently in order for you to get the very best out of your investment. Our experienced plumbers can examine the pumps and keep them functioning properly. At American Plumbing we guarantee complete customer satisfaction and will always work to successfully complete every project no matter the scale. It doesn’t matter what kind of jacuzzi service repair job you may need American Plumbing is skilled and equipped for the project. Since 1975 American Plumbing has been delivering consistent result for our customers in Broward County and the entire South Florida community. We are professional plumbers who guarantee customer satisfaction by providing the very best plumbing services available. For further information or to receive a free estimate today be sure to contact us with any questions regarding our jacuzzi service or our other professional plumbing services.